It’s raining unicorns in India’s startup world at the moment. Days after Swiggy came to be valued at $1.3 billion after its latest fundraise, PolicyBazaar is now valued at $1 billion after raising $206 million from Softbank and other investors. This makes PolicyBazaar India’s latest unicorn startup, and the second in the list from the financial sector after Paytm. And PolicyBazaar will also share a significant investor with Paytm — $150 million of the $206 million primary fundraise was through Softbank’s Vision Fund, while existing investors including Info Edge also participated. “We were very very keen on having Softbank on board,” said PolicyBazaar CEO Yashish Dahiya after the fundraise. Apart from Paytm and PolicyBazaar, Softbank now also backs two Indian unicorns in Ola and InMobi, and other highly-valued startups in Oyo and Grofers. It had, of course, been an investor in Flipkart before it sold its sale to Walmart earlier this year. And PolicyBazaar is the latest apple of Softbank’s ever-roving eye, and probably for good reason — last year, it had been the only major Indian startup to be profitable. In an analysis of 43 startups that had raised more than $10 million in funding, 42 had made losses, while PolicyBazaar alone had managed to eke out of profit of Rs. 12.9 crore. But apart from its profitability, which is unusual for an Indian startup, PolicyBazaar has had a conventional journey to startup stardom — the founders had the usual educational pedigree, and were solving a problem that had some personal meaning. PolicyBazaar was founded in 2008 by IIM alumni Yashish Dahiya, Alok Bansal and Avaneesh Nirjar after Dahiya’s father was sold a policy which, he realized, benefited the insurer and the agent selling it, but not the actual consumer. “Most plans that get pushed by agents are traditional commission based plans that benefit them. Once sold, such policies have 60% chances of lapsing,” he’d said in an earlier interview. PolicyBazaar was thus founded, and aimed to be a life insurance and general insurance comparison portal. It hoped to streamline insurance policies by taking them online, and managed to find large amounts of funding along the way — before the latest fundraise, it had raised $146 million (Rs. 950 crore) from prominent investors like Tiger Global, Premji Invest, and Inventus Capital Partners. But while PolicyBazaar was profitable last year, profitability hadn’t come easy — it had made losses for 9 straight years before finally ending up in the black. Today, PolicyBazaar says it does annual business of Rs. 3000 crore of insurance premiums, and has revenue of Rs. 600-700 crore. The company says it expects to earn profits of Rs. 100 crore this year. And Dahiya is sure seems to have high hopes for his company going forward — apart from the institutional investors, he says his in-laws have invested around Rs. 1 crore in the latest round at the current valuation. “My mother and father in law have pretty much invested everything they have in this round,” he says. If setting up a unicorn startup might require blood, sweat and courage, what might require even more courage is getting your in-laws to invest their life savings in it at a billion-dollar valuation. 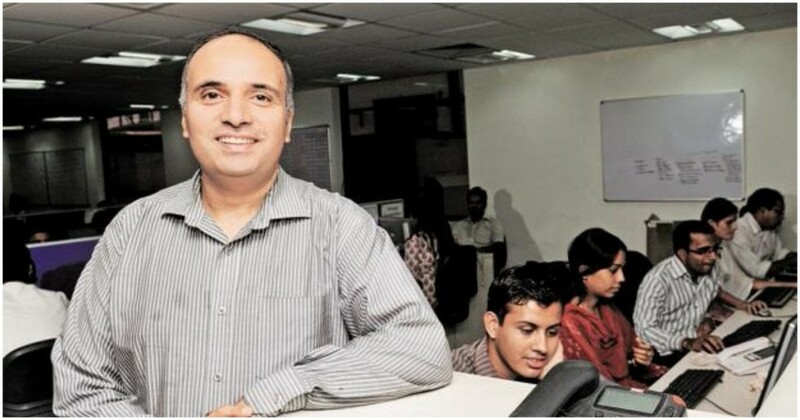 It remains to be seen how PolicyBazaar will fare, but for now, its CEO is certainly putting his money where his mouth is.